We soaked some strawberries and blueberries in champagne for an hour or so. 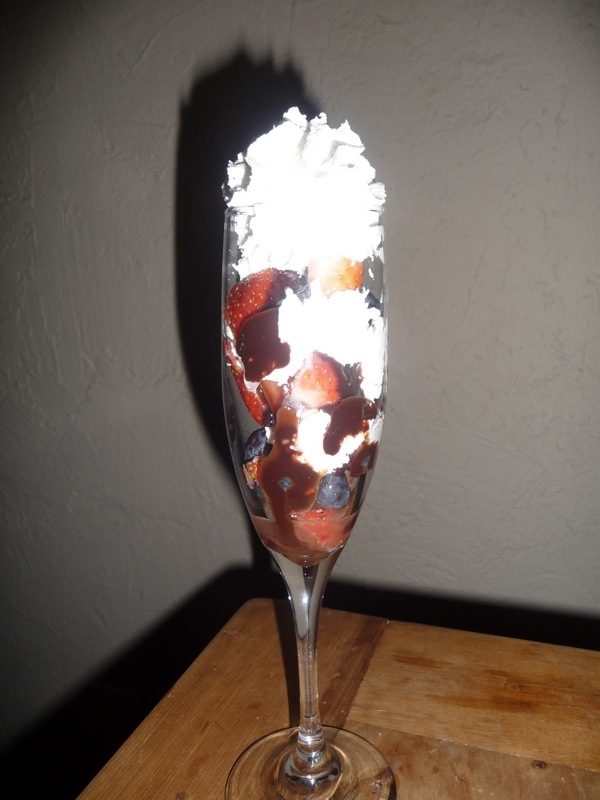 Then, we layered said champagne-soaked berries with chocolate sauce and whipped cream. It was DE-licious. So good. I want to soak all my fruit in champagne. I though I wasn’t going to make it until midnight as I was really full and sleepy, but I managed to stay awake until 12:30! Go me! It was a great New Years Eve and I’m so happy I got to share it with my amazing husband. My husband went to a hockey game with a friend last night, so I went over to my parents’ for dinner. 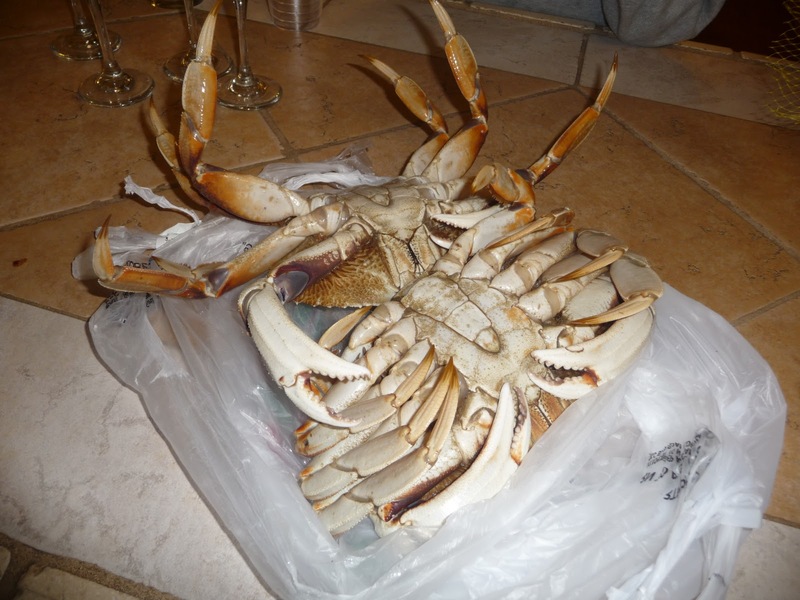 They bought live crab and it totally freaked me out! 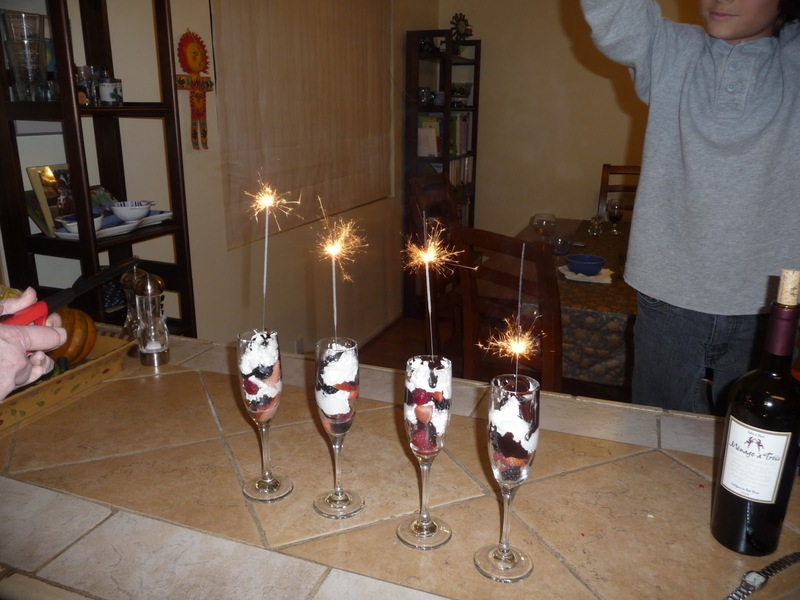 For dessert, we re-created the layered champagne berry delights, but added some sparklers! I plan on having this same dessert as often as possible. With just two weeks until filming, I have a whole lotta stuff to get done. I’ll post a list of everything I need to do and update as I check stuff off. How was your NYE and NYD? Do you have a quiet celebration or a big loud crazy one?